Are there specific places that are important to you? Are there places where you faith has been shaped and developed? Is there a place you went as a young child or a camp that is meaningful to you? Is there a place that you like to return to you and revisit your memories of how you were shaped by God when you were younger? Is there a sacred space in your life where you can find God and come back to your relationship with God? Is there a quiet spot in your home where you go to to read your scripture and pray? Do you go into the quiet sanctuary and bow your head? Where are the places that you find yourself wanting to return? What are your sacred spaces? Christ had those places. They were places that we learn about in the Bible where Jesus’ faith was shaped and developed. There was a stable in Bethlehem and the temple where he began to teach. There was the sight of his first miracle and the river where he was baptized. There was the well where he met the woman and spoke with her. There was Mount Tabor where he was literally changed. There was the garden where he prayed and the upper room where he ate with his disciples. This week’s gospel reading (Matthew 4:1-11) describes one of the sacred places for Jesus: the wilderness. It was in the wilderness that Jesus fasted, prayed, and was tempted only to come out closer to God. We can see Jesus being shaped and changed in each of these different places. The musical that the choir has begun rehearsing for Easter is called Sacred Places. This cantata visits several of the places that were meaningful to Jesus’ faith journey. As we begin to share several of these pieces throughout the next few weeks in worship, we invite you to think about the sacred places in your life. What are those places that have developed you and are meaningful to your faith journey? 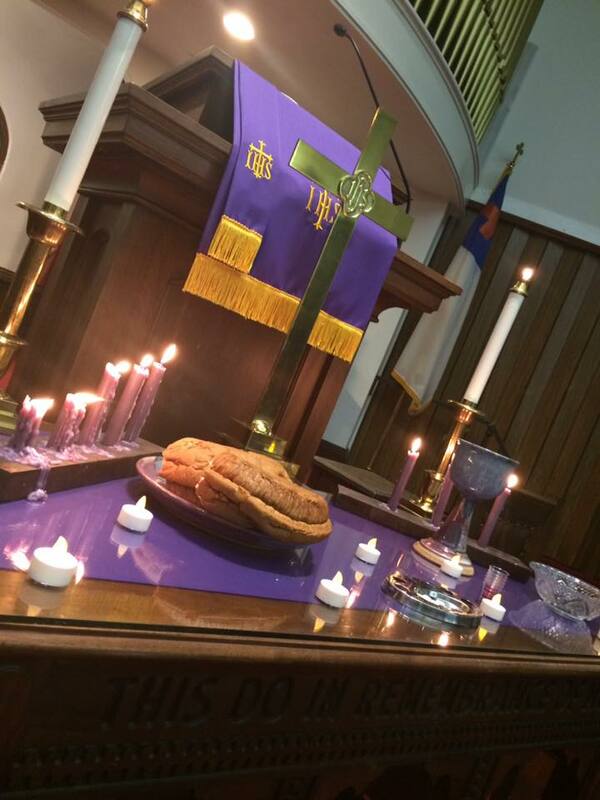 The season of Lent has begun and we encourage you to think about the places that have been meaningful to you. Revisit them in your mind or revisit them physically. Find a space in your home or visit the sanctuary and find that sacred space where you can meet God again.